How’s about THAT for a way to spend the afternoon?? I honestly love this picture… SO much. 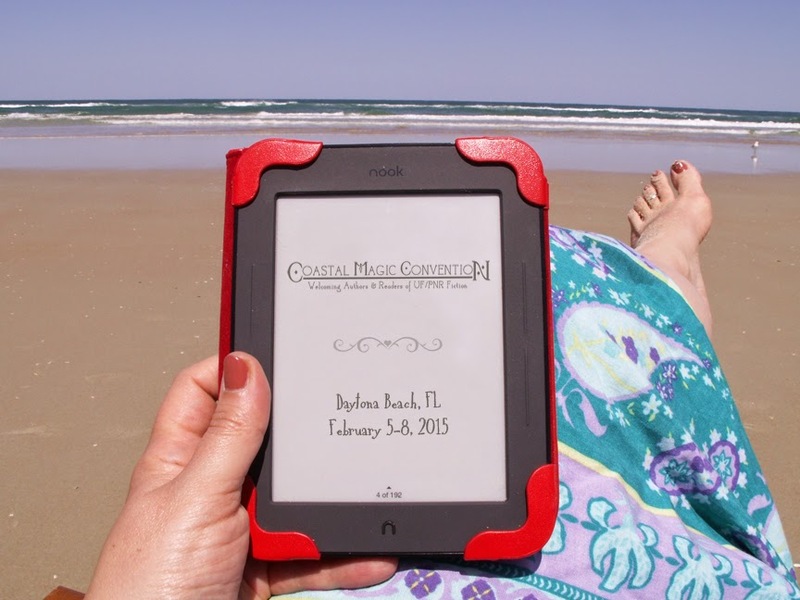 It was a happy surprise when I checked out Featured Author Jan DeLima’s blog post, today, about coming to the Daytona/St. Augustine area for next year’s Coastal Magic Convention. You can find her fun post HERE, along with lots of other beachy, beautiful pics to go with this one. It serves as a subtle, yet not-so-subtle reminder that registration is open, for anyone who’d like to join Jan, the rest of the Featured Authors, and all of us anxious readers! We’re going to have such a great time!! I’m torn between wishing it was February NOW, and being glad I have enough time to finish getting everything ready, lol. Be sure to keep an eye out for blog posts from our Featured Bloggers, spotlighting our Featured Authors. There will be promos, interviews, reviews, and fun guest spots every month to help all of you get to know our group better. I can’t wait to see what everyone’s got in store for us!! There’s a running list of links on our Featured Blogger page, if you want to check out anything you may have missed. Oh, I do love my real life!